Give us a call at 914-750-4191 and schedule your Porsche appointment with our service department. For added convenience, we offer vehicle pick-up and delivery service. We’ll come to your home or office and even give you a Porsche loaner vehicle with scheduled service! 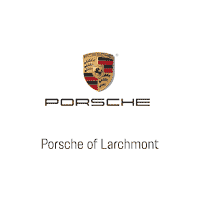 Porsche Larchmont is proud to offer our Pick-Up and Delivery Service to our customers. We will provide transportation to and from our Larchmont Showroom/Service Center. Our team will arrange to have your Porsche picked up from your home or office and brought back to you after the service work is done. We will even provide a Porsche loaner vehicle as needed. Live in the area? We will deliver your newly purchased Porsche to you at your home or even your office. Or we can schedule a test drive starting in your driveway. Having your car repaired could not be easier. Our other option is for you to drop off your car, and we will drive you back to work or home, then we will retrieve you when the work is done and bring you back to the dealership to pick up your vehicle. At Porsche Larchmont we want to make your life easier! We understand how busy life can be, which is why we want to make it as convenient for you as possible by providing you the peace of mind of having your car running as it should be. Contact us and we can schedule a time to come to your place of residence or work place and pick up your car, then drop it back off for you when the repairs are complete. It’s nice to know that Porsche Larchmont has taken care of everything for you, So go ahead and check that off your to do list. Our Complimentary Shuttle Service Gets You There With Ease! Need to be somewhere soon? Don’t we all! But don’t let that prevent you from getting your car serviced by the experts at Porsche Larchmont—we’ll drive you to/from home or work in the Larchmont area while your car is being serviced, making it easy for you to get on with your life! Just let us know when you would like us to come back and get you and we will pick you up and your car will be ready to go. cannot be combined with any other any other promotion or coupon.